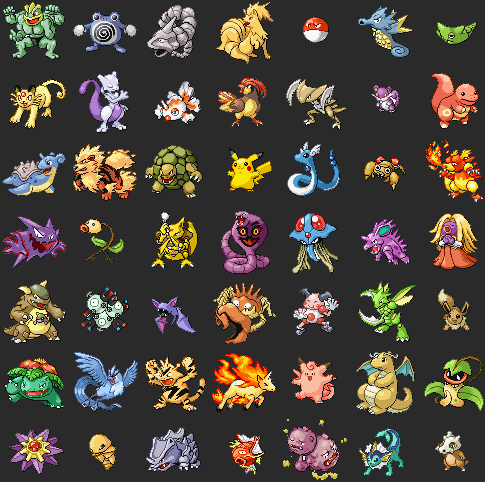 ill post my teem tommorow but their all lv 100!i love pokemon.if you all find any weakness in my teem please tell me! ok i post my teem now.and so i dont gota say this for every pokemon their all lv 100. Your gonna get ripped apart by a decent electric type, and a psychic and a dark type would clean up afterwards so yeah you have a few weeknesses. But if the bronzong is heatproof fire will only be normally effective removing the weakness supose a ground type will take out the bronzong seen as its not levatating. Although in fairness we did answer the original statement we managed to find weaknesses BUt as always if ya need any advice just ask and we'll be happy to offer advice. darn i thought i had no weakness.but the fact it all my pokemon are level 100 when others might be 80 or 90.but thank you i didnt see electricity as a threat.maybe if i teach machamp earthquake.that would destroy electrick what do u think? A gud trick to learn is dont become complacent with good stats and high levels because simple things like type weaknesses will trip you up, you couldd either re-arrange the entire team (get rid of the deadwood), ooooor bulk up the team with gud ground moves remember thogh all those flying types with the exception of gyrados are also weak to ice and rock type attacks and the empoleon is gonna be weak to ground and fighting types aswell as electric so your best bet is to cover as many weaknesses as you can. Me too. Most of MY main problems will be with Ice and Electric. Flying-types here. Thing is with the rare candy cheat your pokemon may say they are level 100 but since they've missed out on battling and therefore random ev's and what not picked up during said random battles your pokemon are gonna be next to usless i would hazard a guess that the team could well be ripped appart in a heartbeat all it would take is 2 pokemon then ya up the proverbial creek. actualy meeples i dont use rare candy cheet!i do use master ball hack though so i got like 7,800 somiten so master ball my glich.but i dont glich rare candies. futch hi ill trade for a mewto ive been trien to get 6 of em in pokemon diamond and use rare candy cheet to bring em to lv 100 so i got elite teem.what will it take? That says different...You have one chance, lying about it after saying you do is just as bad. If I see this again yuou will be banned. and please dont ban me i new and just got a new freind here pls spare me i only 11! And that makes it okay to cheat, you blatently said you USE the Rare Candy cheat so you are lying. Here is some adivce for you friend, "don't use cheats simple as, and do not lie"you will only make yourself feel worse and regret lying about simple things. but if ya want some more Advice i think ya best off just by simply stopping the cheats and start ya Diamond game again. at least then ya wont have to lie and make yourself feel worse. and on the upper hand of starting ya game off again you will be able to go back on things that you have missed.